Buy this Antigua & Barbuda 3 feet by 5 feet 100% polyester flag. When bying a standard flag size fo..
Buy this Antigua and Barbuda flag bumper sticker. This reflective bumper sticker is designed to adhe..
Antigua & Barbuda small decal. 4X3 inches ready to adhere to most surfaces. 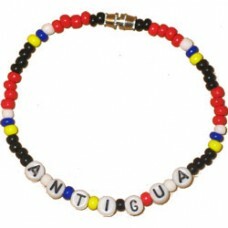 This small decal / stic..
Buy this beaded bracelet of the colors and words of Antigua. 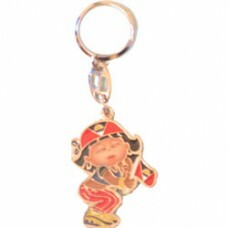 Comes with a screw clasp that easily c..
Buy the Antigua and Barbuda flag CD used for hanging and displaying the colors of the Antigua & Bar..
Buy this Antigua and Barbuda flag keyring in the shape of a girl dressed in the Antigua & Barbuda fl..
Buy this Antigua and Barbuda flag license plate with all the colors of Antigua & Barbuda flag print..
Buy the Antigua and Barbuda flag mini banner. The size if 4X5 inches and comes with gold frills a s..
Buy this pair of Antigua and Barbuda flag mini boxing gloves to hang from your rear-view mirror or t..
Antigua & Barbuda flag beaded necklace. Approximately 26 inches long with a matching pendant. Repre.. This Antigua and Barbuda flag is made of 100% Polyester and is approximately 18 inches X 12 inches. ..